While modern technological improvements have decreased manual labor, increased efficiency, and benefited America’s economy, these changes in production came with costs to the environment. The images displayed are an excellent example of the value and destruction that comes from human interference with nature. 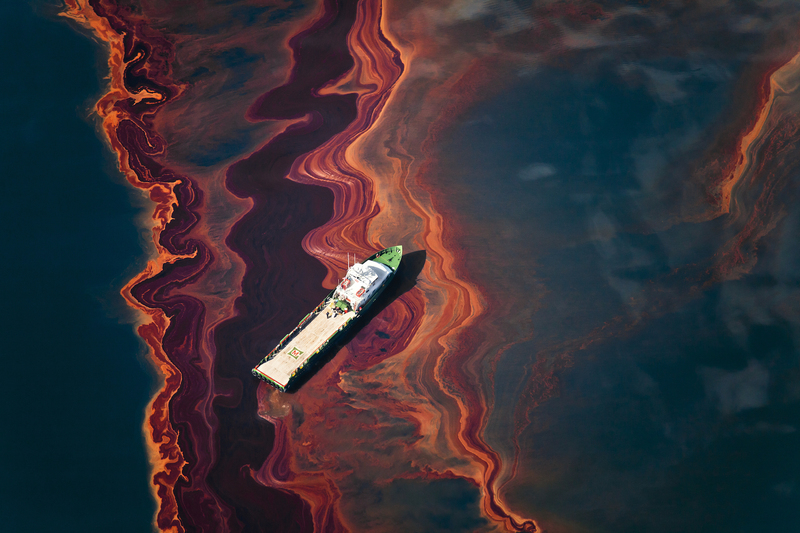 Specifically, the BP oil spill depicted in the photograph has been one of the largest environmental catastrophes of our time and one that our gulf coasts are still recovering from. I especially love Beltrá’s photographs because the vibrant colors at face value create a stunning contrast in the water that almost makes the viewer forget their dark reality, as industrialism often does. The natural beauty of the unnatural phenomenon captured in these photographs to me depicts the dichotomous relationship the American South has with nature, in a way I would have never thought to be possible.